The weatherproof and self-adhesive film used for our motifs has been specially developed for the production of reflective symbols. 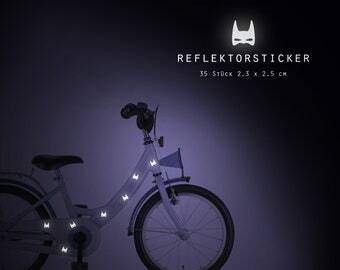 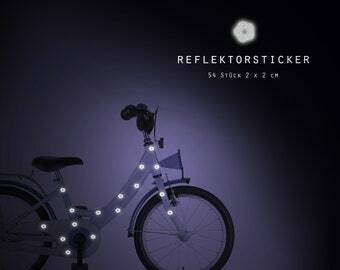 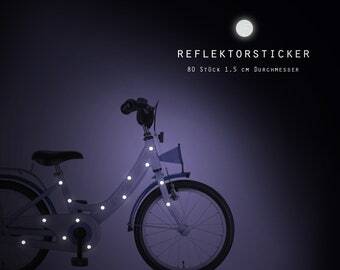 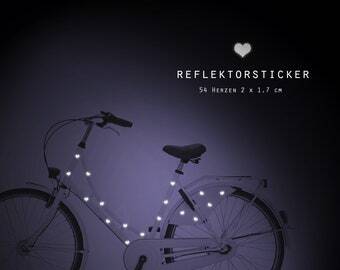 The light hitting the foil is reflected by this and thus enables the timely perception of the bicycle in the dark. 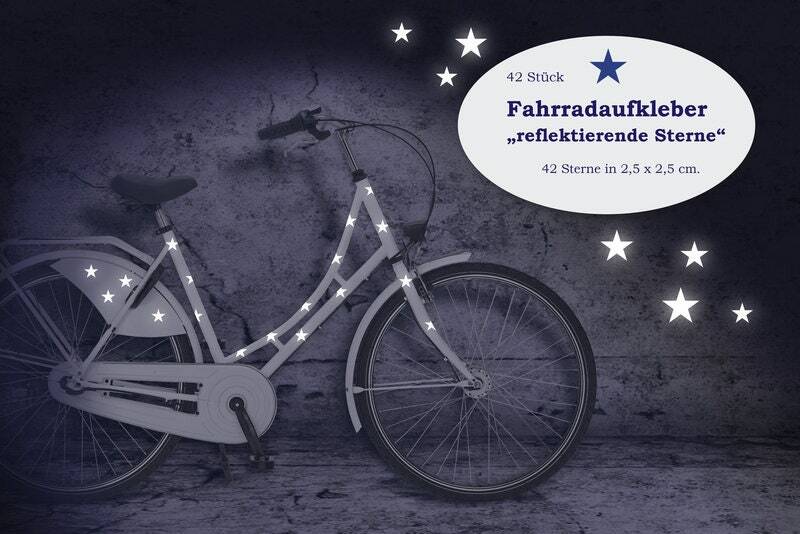 You get an arc with 42 stars each in the size 2.5 x 2.5 cm.